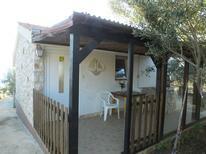 Private property with a stone house for eight people by the sea on the island of Krk. Croatian Islands | These holiday homes are located on the islands off the Croatian coast and offer a direct view of the shimmering blue Adriatic. This just raises the question of which island is the right one. A natural-stone house for four people in Pag with a unique view of the sea. 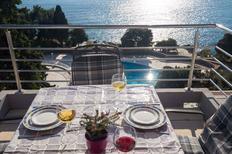 ​Croatian Adriatic Coast | Here we'll show you the accommodation at the Croatian Adriatic Coast, which has received the best reviews from our customers. "Super great holiday house" one atraveo customer wrote about this holiday house. 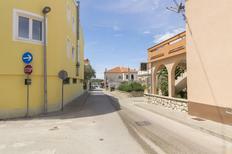 ​Croatia | The beach is too full or too far away? Or you just want to relax and unwind? 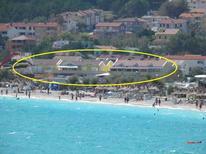 These holiday houses all have an own pool. 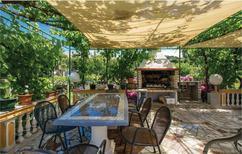 Pool villa for up to ten people near Poreč. ​Croatia | Travelling together is mostly enjoyable. These holiday houses with at least four bedrooms offer enough room for large families or group of friends. A holiday house on the Croatian Islands costs on average USD 571 in the cheap travel period and USD 1,379 in the peak season per week. These details are of course in relation to the house and not per person as well as includes the obligatory additional charges. 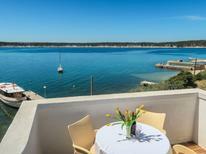 Book a vacation in a holiday home along the Adriatic coastline and experience the enchanting views. As franchise resorts and hotel chains are few, renting holiday houses in Croatia and on its islands is a great way to experience the region in an intimate way. 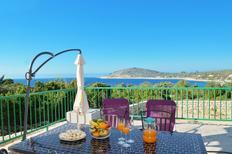 Holiday rentals can be found across the coast with nearly 100 populated islands to choose from. Each island has its own prime spots for hiking, mountain biking, swimming and offer plenty of chances to experience charming traditional culture. For those who love history and adventure, find tranquil holiday apartments tucked away on the island of Mljet and explore the untouched natural beauty and lush forests of the Croatian Islands. Roman and Greek ruins are dotted around for those interested in ancient Mediterranean history. Nearby Rijeka and Dubrovnik airports link directly to holiday rentals and connect to many European terminals.The warm summer months attract many international visitors; avoid the crowds by renting holiday homes on one of the dozens of more secluded islands. 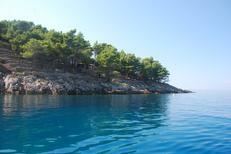 Staying at holiday rentals and holiday houses on the Croatian Islands is quickly gaining popularity. With a diverse assortment of islands on which to find holiday homes and holiday apartments, there's something for everyone. Archipelagos of hundreds of uninhabited islands and inlets attract divers and watersports enthusiasts, with opportunities to rent equipment and take classes. The popular destinations of Hvar and Brac are densely packed with exciting nightlife, prestigious restaurants and a famous club scene.